Minimum Sum Assured/Death Benefit is the amount which your beneficiary will receive if you die during the policy tenure but have you ever though what minimum sum assured should be? The answer to this question can be answered by looking at your family expenses or your family income. The thumb rule says that at minimum sum assured should be at least 8 to 10 times of your family?s annual income or 12-15 times of your family?s annual expenses. Insurance Regulatory and Development Authority (IRDA) has also taken a step to aid policy holder in deciding the minimum sum assured. 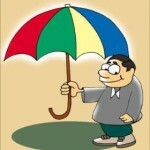 IRDA has stipulated a minimum percentage of death benefit, below which no Insurance Company can go. This means that insurance companies cannot in any case offer the sum assured or death benefit below than this stipulated percentage. Your age and the policy term are the deciding factor behind?the minimum sum assured. In addition to above the IRDA has also mandated that the death benefit should not be less than 105% of the total premiums paid. This means if a policy holder holding policy of 20 years and was paying annual premium of Rs.10,000 for a sum assured of Rs.1 lakh died in the 15th year, his beneficiaries will receive Rs.1.58 lakhs (105% of Rs.Rs.1,50,000) lakhs not Rs.1 lakhs (sum assured) lakh from the insurance company. Again, the death benefit in this case also should not be less than 105% of the total premiums paid. This means if a policy holder holding policy of 9 years and was paying annual premium of Rs.20,000 for a sum assured of Rs.1 lakh died in the 6th year, his beneficiaries will receive Rs.1.26 lakhs (105% of Rs.Rs.1,20,000) lakhs not Rs.1 lakhs (sum assured) lakh from the insurance company. Insurance Premium paid for the life of self, spouse and children are eligible for deduction under section 80C. But one must note the tax benefit is only available if the annual premium is not more than 1/10th of the sum assured. So if your sum assured is Rs.1 lakh but you are paying Rs.15,000 as annual premium than only a deduction up to Rs.10,000 is available for deduction u/s 80c. Also the maturity proceeds will get tax exemption under Section 10(10D) of the Income Tax Act, only and only if the premium paid in any year did not exceed 10% of the sum assured. In the above example the whole amount received from the insurance company will be taxable as the premium paid was more than 10% of the sum assured. The girl child should be aged 10 years or below ..